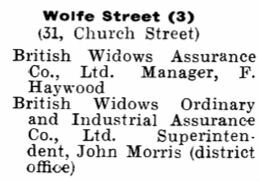 Robinson and Leadbeater operated from their large works on the corner of Wolfe Street and Back Glebe Street from 1864-1924. They also operated a works at nearby Wharf Street from 1870 to about 1880. 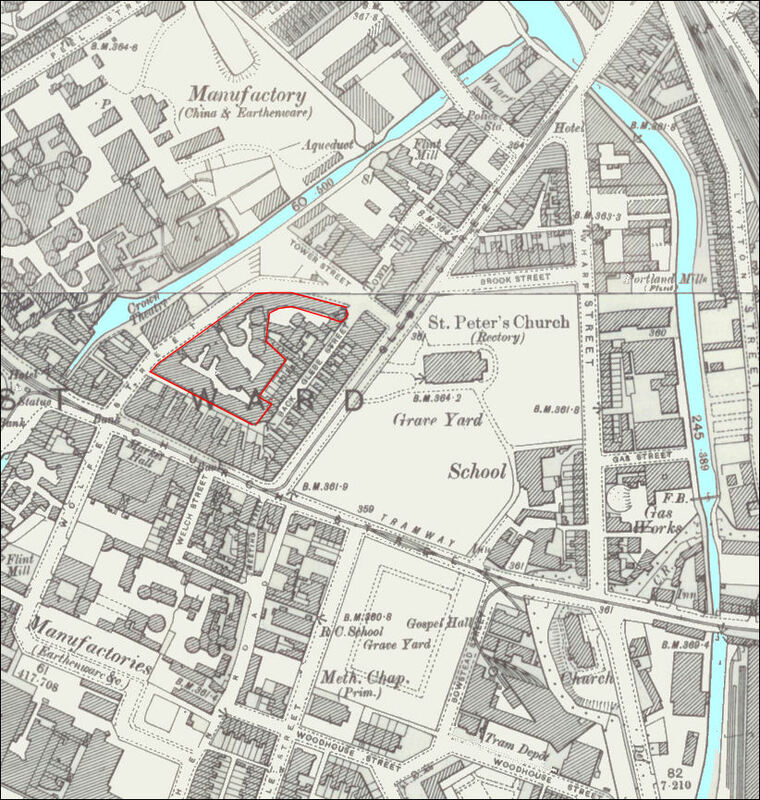 "Glebe Street Works and Wharf Street Works These two manufactories belonged to Robinson & Leadbeater and were confined to the production of Parian goods, of which they were among the largest producers. 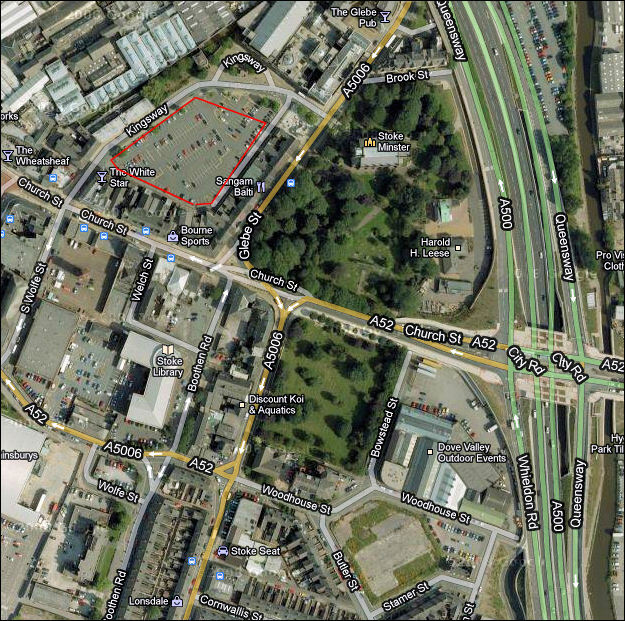 The Glebe Street Works were commenced in 1850 by a clever Italian figure-modeller named Giovanni Meli, who produced fine groups and single figures till 1865, when he sold the business, plant, moulds and machinery to Robinson & Leadbeater...."
The land once occupied by Robinson & Leadbeater is now the Kingsway Car Park. Kings Hall which was built as an extension to Stoke Town Hall. into disuse and was filled in long ago. make way for the A500 dual carriageway. 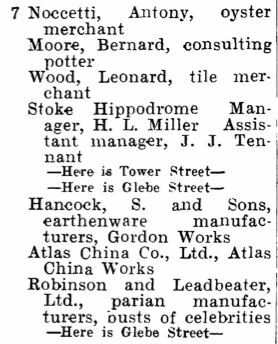 Messrs. Robinson and Leadbeater, Wolfe Street, Stoke. "In the manufacture of Parian statuary we understand that this firm is very prominent in the country. Established in 1850, their business has experienced the steady increase which is only obtained by careful attention to the details of the manufacture and of turning out their goods in the best style. In the large and imposing premises at the corner of Wolfe Street and Back Glebe Street they employ a large staff of artists and sculptors, who are constantly at work giving vent to artistic ideas, and while examining the extensive show rooms we were delighted to observe the beautiful specimens of statuary, busts, vases, plaques, etc., too numerous to detail here. 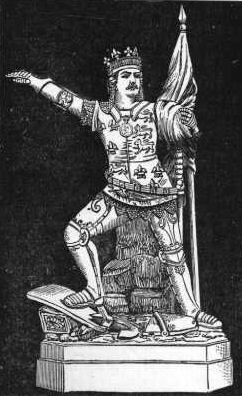 Messrs. Robinson and Leadbeater have to be congratulated upon their staff, both of artists and sculptors, by whom they are well supported, and enabled to give studios in art which are so much appreciated by a discerning public. It would be superfluous here to go into the details of the manufactures exemplified by this firm, but by their mechanical appliances Messrs. Robinson and Leadbeater have, of course, been able to reduce the cost of production, and it is within their power, therefore, to place in the market many beautiful specimens at prices which not so long ago would hove been considered ridiculously small. The large quantity sent out from these works is not confined to the home market alone, but the foreign and colonial markets are also extensive purchasers." Hancock, S. and Sons, earthenware manufacturers, Gordon Works. Atlas China Co.,Ltd., Atlas China Works. 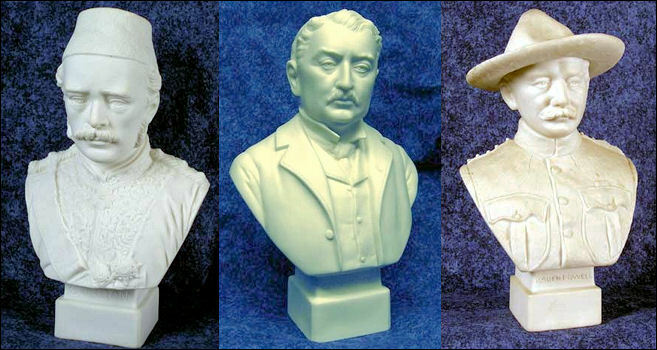 Robinson and Leadbeater, Ltd., parian manufacturers, busts of celebrities.